For centuries, the treasures of Egypt’s ancient civilization have overwhelmed travellers. Besides many incredible sites, Egypt is also blessed with the life-giving Nile, stunning landscapes, endless deserts, remote oasis and 365 days of sunshine a year. Cairo is a splendid place to explore Egyptian history and culture. There’s is so much to see: mosques, medieval Islamic sites, Coptic churches, lively souks and the Egyptian Museum, home of the greatest collection of ancient Egyptian treasures. In Giza, you’ll find the only surviving Wonder of the Ancient World, the great Pyramid and the Sphinx. Nearby Sakkara offers the Step Pyramid of King Djoser, together with beautifully decorated tombs and the mysterious Serapeum. Rarely visited sites are the pyramids of Dahshur and Meidum, beautifully situated in a secluded area on the edge of the desert. Luxor is a city that cannot be missed in any visit to Egypt. Alongside its historical tombs and monuments, Luxor is a great place to explore Egyptian daily life, on foot, by bicycle, by horse-drawn carriage, by hot air balloon or by taking a relaxing felucca ride on the Nile. Delightful Aswan remains often overlooked by many travellers, despite its historical sites, attractive charm and relaxed atmosphere. From here you can visit the temples of Abu Simbel on a day trip, but an overnight stay is the best. A Lake Nasser cruise gives you the chance to see all the temples of ancient Nubia. Real culture lovers can explore less visited sites in the Nile Valley, such as the well-preserved rock tombs in Beni Hassan, the wonderful desert site of Akhenaton and the temple of Abydos, where you’ll see the finest and most unusual reliefs of ancient Egypt. There is no better way to experience the Nile than aboard a traditional Nile Dahabiya boat. 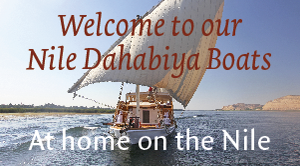 Sailing the Nile by Dahabiya offers you the romance of the past with modern comfort and convenience. A small, manoeuvrable Dahabiya can stop at sights others don’t see, such as less accessible monuments, islands in the river and villages along the banks, where huge cruise ships never come. Alexandria is a cosmopolitan city with a pleasant sea front where you still can see European and Greek influences. Soak up the ambience and visit its landmarks of interest: from Bibliotheca Alexandrina to Pompey’s Pillar. The Western desert and its oases offer desolate landscapes, picturesque villages and archaeological sites, surrounded by many hot water springs and thousands of palm trees. Spend a night sleeping under a sky full of stars among the surreal wind-carved rock formations of the White desert. It’s a magical experience. Get into a 4 x 4 desert adventure and head through the sacred landscape of the Sinai desert. Climb Mount Sinai in the middle of the night to watch a breathtaking sunrise at the top. As impressive as they are, the ancient monuments might not the strongest memory of your Egypt holiday. 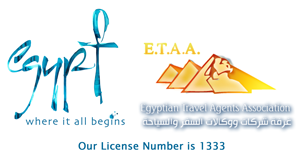 It probably will be the warm and welcoming hospitality of the Egyptian people.